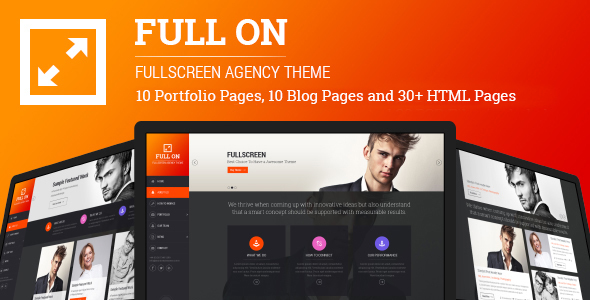 Full On – Fullscreen Creative Agency HTML5 & CSS3 Responsive Theme is a very clean and modern designed for multi purpose for any business. It features 12 portfolio pages, 10 Blog Post Pages and 30+ HTML Pages included comes in 1170px wide and is very easy to customize. Full On – Fullscreen Creative Agency Theme was built on the 12 column grid (1170px) and grouped.